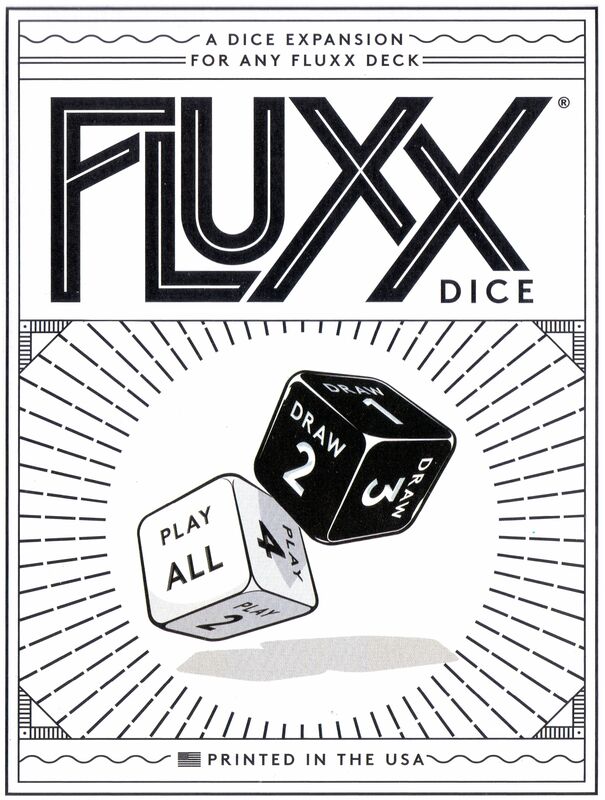 Fluxx Dice is an expansion that can be used with any Fluxx card game. The components are two dice — one showing "Draw 1", "Draw 2", etc. while the other shows "Play 1", "Play 2", "Play All", etc. — and five cards. Instead of following the basic Fluxx rules, each turn players roll the draw and play dice, then follow the new rules set by their roll!